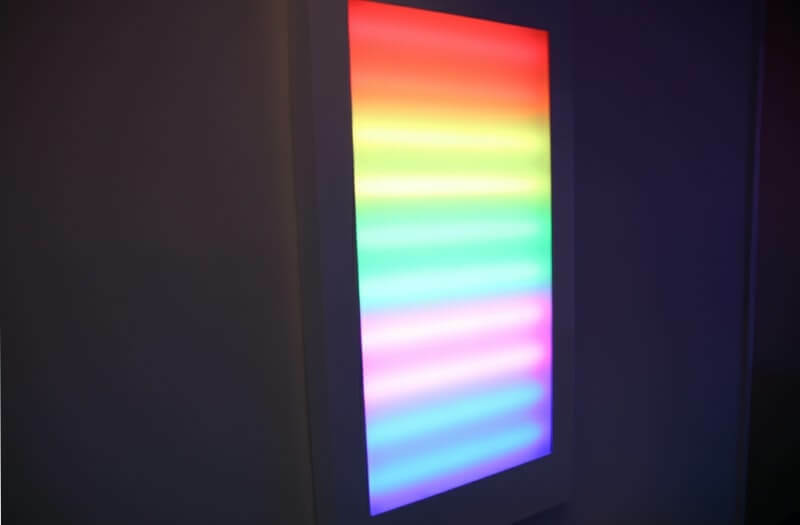 Interact with this Sound Panel by clapping, stomping and more! 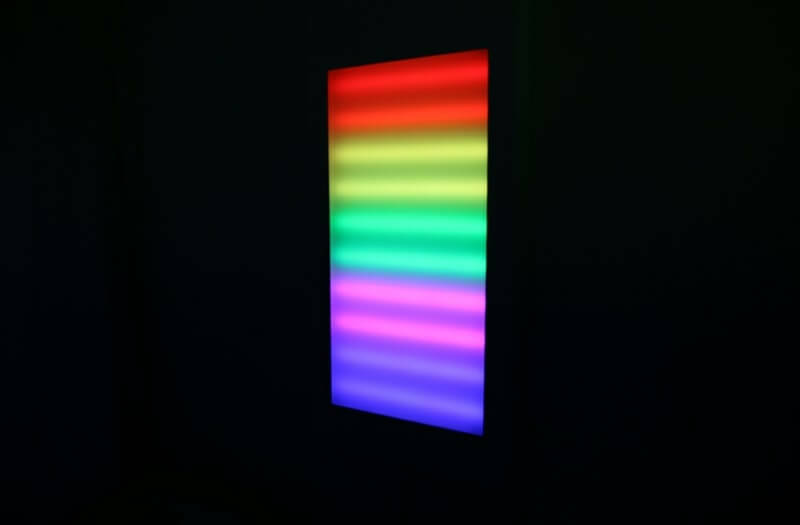 The lights move according to the level of sound you make. A fun feature that children will love. You can even play your own music to interact with the Sound Panel! 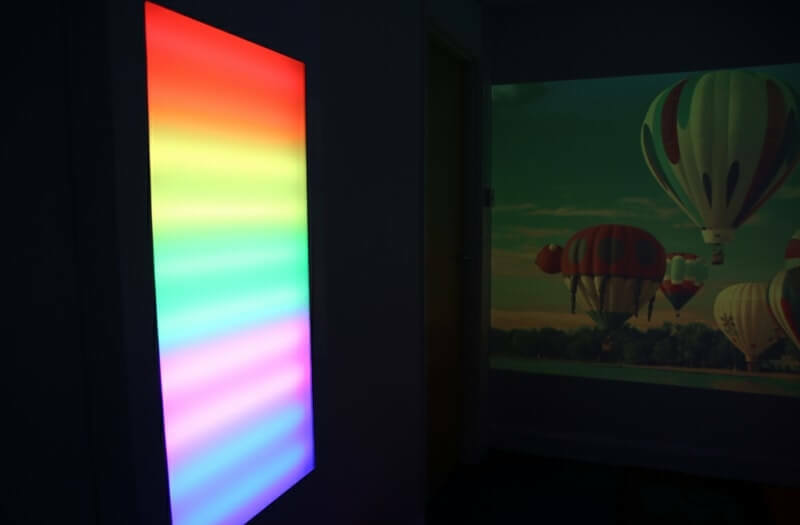 The colourful, rainbow lights are great for engaging a user whilst maintaining focus and having fun. You can even teach cause and effective techniques as you make different sounds to activate the Sound Panel. 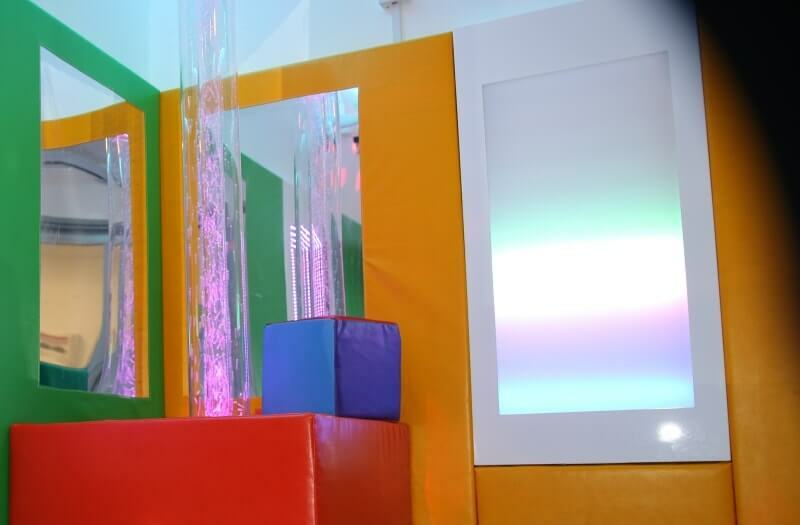 Easy wipe surface and no further maintenance required makes the Sound Panel a popular feature in sensory environments. The Sound Panel reacts to the sounds made by a user. 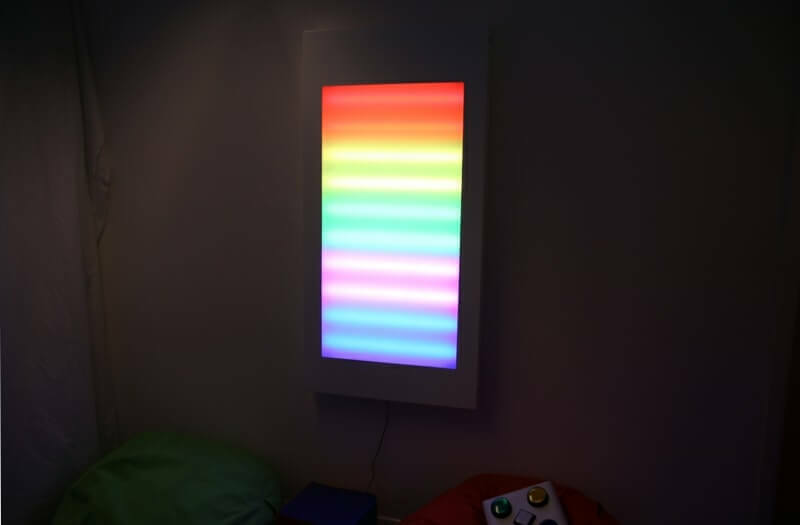 Simply by clapping, shouting, stomping and more you can activate the Sound Panel and see thee rainbow lights light up. 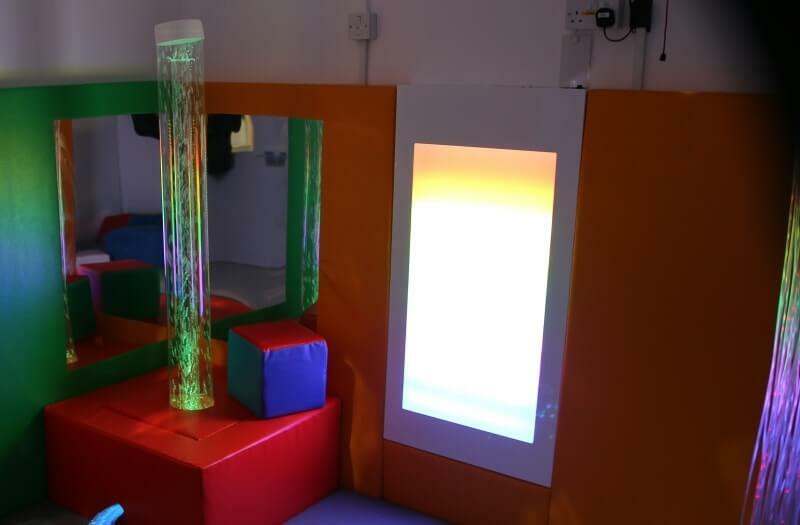 It’s a great way for adding a fun and interactive experience to your sensory room. The Sound Panel is easy to install, simply fix on the ‘hanging bar’ to your chosen suitable wall and then fix on the panel to the bar, no further maintenance required.